James Joseph Wald, known to most people as “Jimmie Joe” was 71 when he traded in his worn-out earthly body for his heavenly one on Friday, January 4, 2019. He was able to pass away on his favorite leather couch at home with his children and wife holding his hands. Jimmie Joe was born on September 23, 1947 to Valentine and Magdalena Wald, the 4th of 10 children. He attended country school when he was young and later went to the high school in Edgeley. In 1965 he joined the United States Navy. He was a Corpsman in Monterey, California and a Boilerman 3rd Class on the USS Annapolis during the Vietnam War. He joined the reserves in 1969 and was honorably discharged from the US Military on 11/8/1971. Jimmie married Deborah Kay Brauer on June 11, 1971 at the Transfiguration Catholic Church in Edgeley. He worked at the local Cenex station from 1970 to 2005 as a mechanic. In 2005 he and Deb bought a local hobby farm and he realized his dream of owning his own mechanic shop– “Jimmie Joe’s Repair” until the time of his death. The “Shop” was a popular hangout for many local coffee drinkers each day. Everybody loved going out to visit and watch him tinker, and the coffee was always on! If a visitor stayed too long, they were given chores to do such as sweeping the floor, or feeding the cows, sheep and chickens. Jimmie Joe was quite a character and had a fun sense of humor. He would pull some pranks with his close family and friends while sporting his famous little smirk. He perhaps most noted for his ability to con people into rubbing his feet and neck. He was a member of the Edgeley Fire Department for 12 years and served some of that time as the Fire Chief. 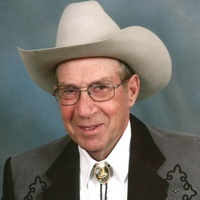 His hobbies included fishing, hunting, playing cards, tinkering on old vehicles and spending time with his grandchildren. Jimmie Joe is survived by his wife of 47 and ½ years, Deborah (Brauer) Wald of Edgeley; Daughters Collette (Jason) Mathern of Edgeley ND; and Sarah (Jon) Maples of Rochester, MN; and son Eric (Amy) Wald of Fairbanks, AK. His grandchildren were the apples of his eye and include Brookston, Braeden, Brinley and Bridger Mathern; Sam, Ian, Ivy, Coral, Iris and Grace Maples; and Alyska Wald. Brothers Bill (Sharon) Wald of Washburn, ND; Lawrence (Deb) Wald, Ronnie (Linda) Wald, David (Holly) Wald, and Doug (Kelly) Wald all of Edgeley, ND; and Sisters Rita Wald of Fargo, ND; and Tammy (Kevin) Jangula of Edgeley, ND. He was preceded in death by his parents; sisters Delene and brother-in law Butch Scheehean of Gladstone, OR; and Carol (Jerome) Triepke of Fargo, ND; one nephew, David Scheehean of Gladstone, OR; and many aunts, uncles, cousins and buddies. He will be greatly missed by his family, friends, and community. There will be a viewing from 4-7pm Tuesday, January 8th at the Transfiguration Catholic Church in Edgeley, followed by a prayer service with rosary at 7:00pm. A Celebration of Life will be held at the Transfiguration Catholic Church in Edgeley, ND at 10:00am on Wednesday, January 9th with internment at the Mount Calvary Cemetery. Arrangements are with Williams Funeral Home, Edgeley, ND.